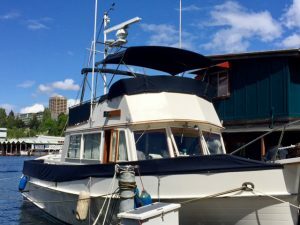 Begin your 2-hour, Afternoon Cruise aboard the Rainbird at centrally located Pocock Rowing Center, adjacent to Portage Bay Park featuring easy access and ample parking. Depart amid floating homes, and all manner of watercraft ranging from canoes, sailboats, classic wooden boats, motor boats, to mega yachts. 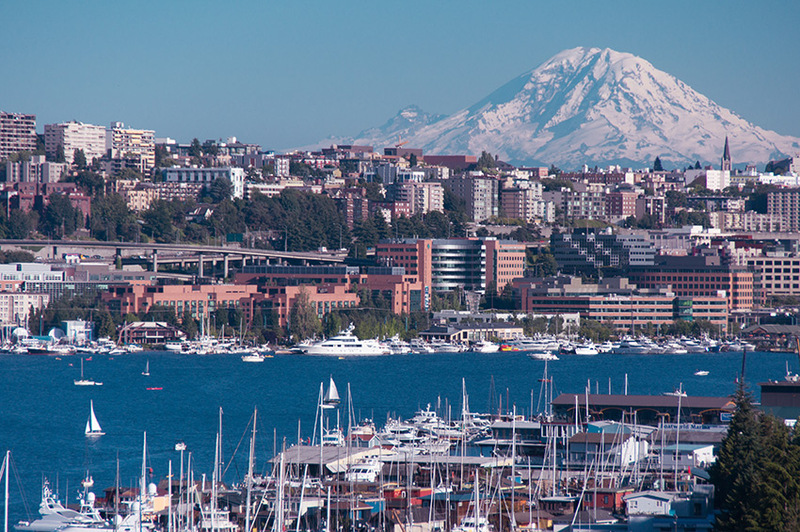 Enjoy a fully narrated tour of Seattle’s iconic sights such as Gasworks Park, Space Needle, Historic Ballard Fishing Community, UW Husky Stadium, and Majestic Mt Rainier. Sip a cold beer, glass of fine Washington wine (or high quality H2o) while gliding under old draw bridges and past seaplanes taking off and landing. Mingle with locals enjoying the Lake on paddleboards and kayaks while the light sparkles off Seattle’s many interconnected waterways. The 2-hour Afternoon Cruise aboard the Rainbird takes you around Lake Union, viewing floating homes, all manner of watercraft, Gasworks Park and other sights. Take in the views while sipping a cold beer or glass of fine Washington wine (or high quality H20) and enjoying your Captain’s Seattle insights, stories, and local history.